So what if a few simple changes could make your home more comfortable, help you save thousands of dollars, and possibly increase your home’s resale value? This guide will cover a range of ways to reduce your energy output, from the small do-it-yourself projects to those that require professional assistance. 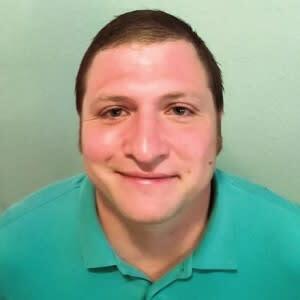 We’ll also provide some suggestions of how to find the right professional for your project. No matter the heating, ventilation, and air conditioning (HVAC) system you use, there are plenty of ways to cut your energy use, stay comfortable, and save on your monthly utility bills. Some of the improvements you make may even increase the value and desirability of your home if you ever decide to sell or rent. And beyond the financial benefits, it is also a great way to do your part to help conserve the planet’s valuable natural resources. During mildly warm weather, the use of a ceiling fan can make your home comfortable enough you may not need air conditioning at all! When air conditioning is used in conjunction with a ceiling fan, the thermostat setting can be raised up by approximately 4 degrees with no reduction in comfort. Fans and open windows also have the added benefit of improving air circulation, which cam keep your house from feeling stuffy. If you plan to install ceiling fans without the help of a professional, make sure tips of fan blades are no closer than 30 inches to a wall or obstruction for wobble concerns and blades should be a minimum of 7 feet off the floor for safety. Lastly, when buying ceiling fans look for the Energy Star label. These basic changes can dramatically improve ventilation and may dramatically reduce your electricity use during hot weather. However, it’s important to turn off fans when you leave a room, as they are only able to cool people, not spaces. 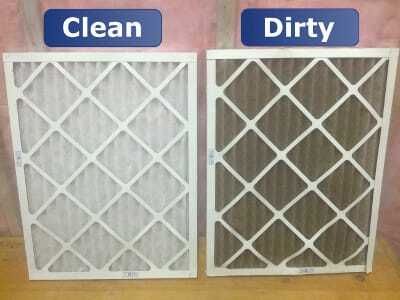 Clean your evaporator coil as necessary and straightening the coil fins. Clean drain channels regularly to prevent clogs. 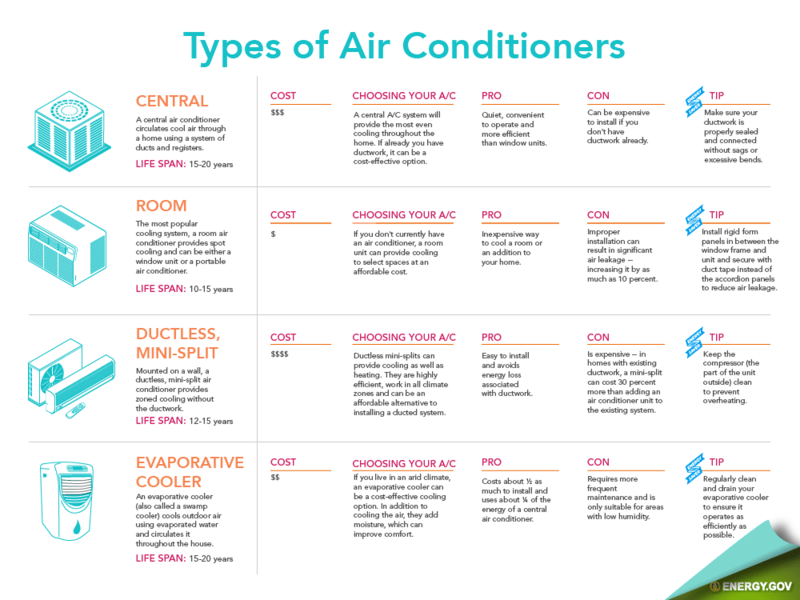 This won’t tax your air conditioning unit and waste money cooling an empty space, but it should keep your rooms and furniture cool enough to eliminate any risk of damage from extreme heat. With a programmable thermostat, you never have to worry about forgetting to change your temperature settings when you leave the home or go to sleep. If it’s within your budget, you may want to look into buying a smart thermostat, which will learn your behaviors and appropriately adjust your home temperature for when you’re in and out of the house. You can take advantage of warm weather, and won’t heat the inside of your home like a stove or oven! Windows play a big part on your home’s insulation and ventilation. To avoid an exaggerated greenhouse effect in the summer and escaping warm air in the winter, check out our window efficiency guide to see all your options! This is a quick DIY option to keep cool air from escaping your home. It’s also much cheaper than replacing windows or buying new blinds or curtains. Apply caulk to fixed joints on door frames, window casings, and baseboards, and use weatherstripping for the moving parts. You don’t want to caulk anything closed! Adding additional insulation and/or radiant barrier in your attic or ceiling crawl-spaces. Installing improved attic ventilation or even a whole-house fan. Installing double- or triple-paned windows to improve insulation. 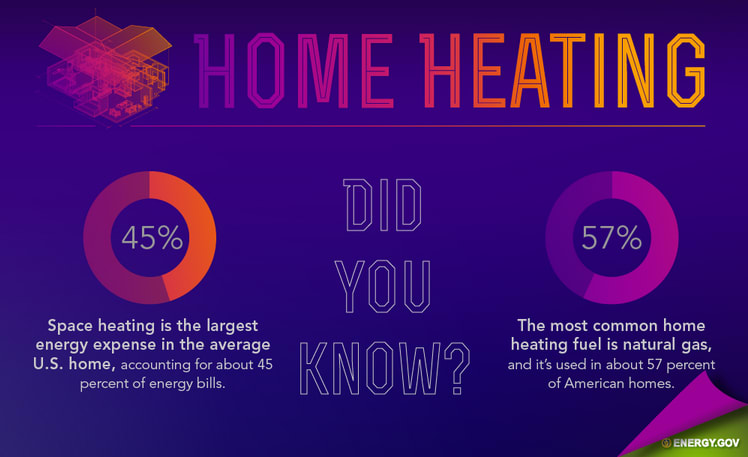 For the typical U.S. home, heating costs represent a huge percentage of winter energy bills, and during the winter months in northern states, these costs can be exorbitant. 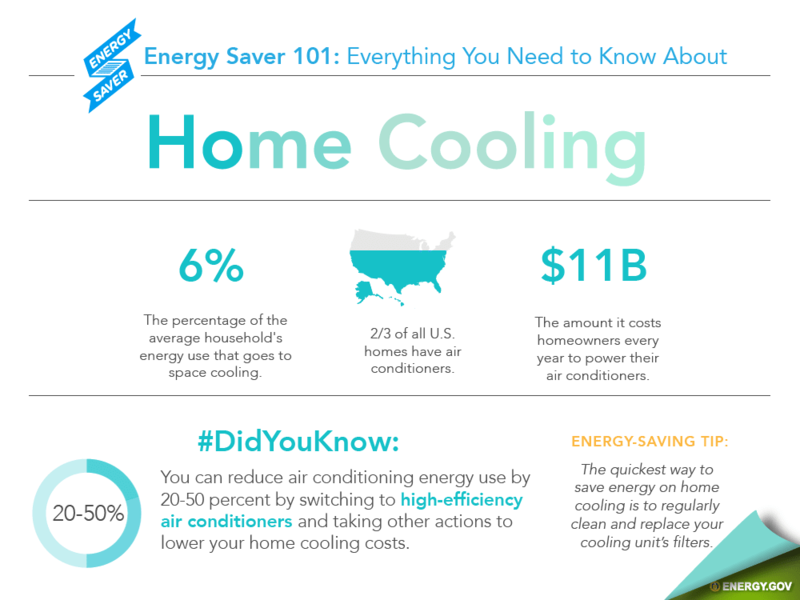 Many of the tips for improving cooling costs will also be beneficial for reducing heating bills. On top of that, there are many other heating-specific steps you can also take. Once you’ve completed this step, you’ll still have many self-proclaimed experts to filter through. A good starting point is to search for an ENERGY STAR® sponsored contractor in your area.6 If you don’t see one listed nearby, you can always seek recommendations from friends and family members. Additionally, your local utility provider or state government may be able to provide you more information. Regardless of which contractor you use, here are some basic tips to follow when selecting a heating and cooling professional. For a more in-depth review, check out our guide to hiring home remodelers. Find out about license and insurance requirements for HVAC professionals in your state. Know the model of your current system and its maintenance history before calling any contractors. Make note of any uncomfortable rooms to help potential contractors better understand your heating or cooling needs. Compile a list of potential HVAC professionals to compare. You need to explore your options to get the best result! Call the professionals on your list and ask for a quote and time of work estimate. Compare contractors’ bids for cost, energy efficiency and warranties. Don’t simply choose the cheapest up-front option without making sure you’re still getting high-quality results, and won’t be paying money down the line in additional heating and cooling costs plus repairs. Sign a written proposal including specific project costs, model numbers or equipment types, a work schedule, and any warranty information you agree on. Managing and maintaining your home’s HVAC plays a huge part in your overall comfort and annual budget. Fortunately, there are many simple and cost-effective options available to virtually all homeowners and renters (depending on the terms of your lease). And depending on your budget, there are plenty of big projects you can take on that may also increase your home’s overall value. For these larger projects, finding a well qualified and reputable contractor is vital, and they will often be able to provide you expert advice on simple tasks you can perform yourself. The decisions you make will have ongoing financial effects, so it’s important to do your homework and take action so you can start saving money now and for years to come!